Directly behind the embassy is the Postal Savings Bank, completed in 1901. 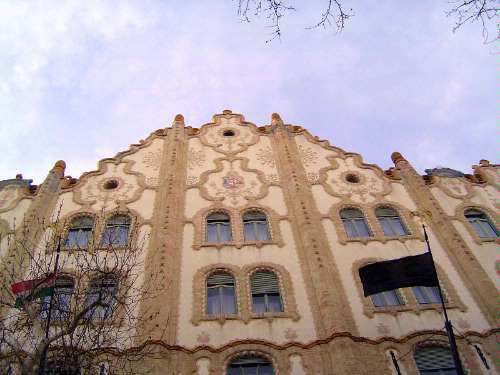 The architect was Odon Lechner, creator of the Magyaros style, which combined modern materials (try steel-frame construction) with Hungarian decorative motifs. The bank catered to people with small accounts maintained at any of hundreds of post offices.